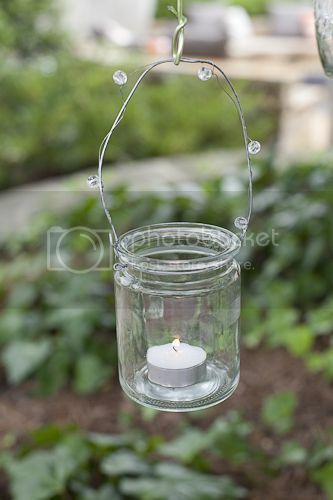 Eastland Hanging Votive Holders are made of thick clear glass with a charming metal handle attached to the top that is adorned with gem stones. Perfect for occasions where a votive candle must be elevated to achieve better lighting. Size: 3.75"(H) x 3.0"(D) Candles sold separately. Our selection of Votive Candles includes over a dozen different colors and fragrances. We're sure to have just the right one for your needs. While you're here, you'll want to check out our Tealight Candles and Tealight Candle Holders, too. Compare and save. You'll shop Quick Candles for all your candle needs!